In order to understand the unprecedented impact and significance of Princess Diana's life, it is important to first understand where we are in cosmic time. Beyond the scope of late twentieth century world activity and her role within it, as well as her importance to the British way of life, her immediate family, the royal family, her friends and the family of man in general, Diana's purpose was, and is, perhaps more far reaching than we might otherwise suspect. Diana Frances Spencer, normal human being born as an English aristocrat, fairy tale princess, former wife of a Prince, mother of kings, heralded as the most famous and most photographed woman in the history of the world, was more than a media icon of global renown. She was a connection, a cosmic connection to the next millennium. She was, in fact, a Millennia Bridge. The year two thousand (2000) commenced the new millennium. This has colossal, imponderable import for our earth and the people living at this time, for it marks, not just a change of years, or a change of decades, or a change of centuries, but a change of thousand year increments of cosmic earth time and, more importantly, an enormous change in the vibratory veil of planet earth. One might not think this too extraordinary, but it is. A person could, conceivably, outlive a century, but no one outlives a millennium. It is an extremely long period of time as far as ordinary, human, day-to-day, living timetables are concerned. What is notably extraordinary, however, is the shift in energy fields in the cosmic realm, so to speak, when millennia change. The vibratory influence of any millennium, of course, extends for a full thousand years influencing every person, every creature, every soul and every event occurring within its boundaries. Now, in our lifetime, during this time-change of millennia, our earth is undergoing a shift in cosmic forces of immense proportion, a shift which will affect every living thing on the planet for the next thousand years and it will affect each of us - prince or pauper, celebrity or commoner, male or female, ugly or beautiful, small or tall, arrogant or humble - whether we acknowledge it or not. In understanding this concept, let's use the analogy of being at the beach. If we were to stand along the water's edge and allow the waves to casually wash over our ankles, we might compare this to the energy change we all experience on a monthly basis as the year's annual energies cycle through from month to month. The water washes to and fro over our feet but we mind it not. Our own body weight in comparison to that of the ankle-washing tide predominates and we remain fixed and immovable unless we choose to move. If we were to proceed farther into the water - to knee level - the forces of the tide washing in and out, pulling against our legs, would be noticeably different. Even at this small depth, we begin to feel the contrast in forces between our own body weight and the 'weight' of the ocean as it flows toward the beach and recedes from it. From our analogy's standpoint, this changing of forces might be considered an annual change of vibratory energy. Moving farther yet out into the ocean to waist depth, our own body weight begins to have less effect on our stability in the water as the ebbing and flowing of the tide and its natural forces move us more easily, undermining our sense of 'grounded stability.' Now we find ourselves having to work to maintain our positional control in the water. This experience of having to exhibit more energy in order to adjust to the external forces being applied to us and to, therefore, maintain some semblance of control over our lives, can be compared to the changing of decades and the intrinsic, natural changes they generate. For example, the decades of the 1960s, 1970s, 1980s and 1990s all possessed their own special set of characteristics as all of us who have lived through them can testify. Continuing moving deeper and farther out into the ocean to neck level, we find it nearly impossible to maintain our stability and 'groundedness' in the water as the forces of the ocean finally gain the superior advantage and move us at will, forcing us to swim, float or at least move, dancingly, as the forces of the waves lift us up and down to their undulating rhythm. We find we must inevitably relinquish command of our grounded stability to a stronger set of forces which compel us to move and act in ways against our will whether we like it or not. At this point, with the natural forces of the ocean operating upon us, we lose our anchor to terra firma. We can compare the effect of this shifting and redistribution of energy forces in our lives in the ocean at 'neck level' to a change of centuries. Like decades, centuries also possess their own special set of characteristics which envelop all who live within their time frame. We can now go no farther into the ocean without totally abandoning our ability to remain grounded, even in the least. To move farther into the ocean, into the mainstream of its currents, means we must swim, for the differences in our own body's force to stay put and the ocean's forces to move us are too disparate. The ocean moves us; we are in its space, in its ground, in its court, on its playing field, in its energy spectrum, and we can only survive in it as long as we are capable of efficiently addressing, managing and adjusting to its ever-changing nature and make-up of moving energy waves. We cannot compete against the forces of the ocean. They are omnipotent as far as we are concerned. The best we can do is adjust to them by swimming or floating . . . for as long as we can. Additionally, to extend our analogy, when we are on the beach, we must deal with the size of the on-flowing waves and their rebounding undertow ever pulling us seaward. Sometimes the waves are small, sometimes medium, sometimes large, sometimes huge, the larger ones possibly jeopardizing our lives and well-being. For those who have experienced huge waves, the kind that crest and crash on the beach with a devil-may-care attitude, it can be frightening because such waves have no concern or respect for anything in their path. They are impersonal manifestations of cosmic creation and dominance. They'll engulf a swimmer, lift him to a vaulted crest and slam him to the ocean floor without conscience or consequence, smothering him, literally, in a sea of sand, foam, rock and coral, terrorizing him with exasperatingly anxious moments of never knowing which way is up. People, of course, have died in such situations, their deaths testimony to the forces of the ocean over which they and we maintain zero control. So it is with millennia. They are huge living waves of cosmic energy. They roll onto and over the beach of time with absolutely no regard for personalities, possessions or social conventions. Oblivious to their predecessor, they have their own will and they exercise it mercilessly. They are aloof, indifferent and inconsiderate of what lies in their path. These thousand year periods of impersonal, irrepressible power and might harbor gargantuan levels of energy far beyond the ability of any human being to control or manipulate. They control us. The sheer weight of their mass and energy compel us to move to their will and in their direction. Indeed, they move us where they choose and when they choose, for we are not strong enough to swim against them any more than we are strong enough to swim against the force of a tidal wave. In effect, they rule and we obey. Fortunately, to a degree, millennia, and their inbred, intrinsic characteristics, are calculable, moving to a predetermined rhythm, and by understanding their essence and adjusting to them, we can survive by surfing, by going with their flow. To resist them is impossible. They will simply pick us up, like the towering wave, and slam us down to a more humbling position, perhaps taking our life in the process. Because of the enormity of their cosmic force and weight, changes in millennia are, likewise, enormous. Each millennium has very different traits and characteristics, just as do numbers. To remain rooted in the ways of an outgoing millennium and not adapt to the energies and characteristics of the incoming one, is to insure annihilation. Such is the dilemma of the British monarchy today. It is caught, like we all are, in the transitional state between these colossal and dynamic periods of time and if it does not change, adapt and adjust to the new cosmic vibratory pattern, it runs the very real risk of destruction. Furthermore, it was and is Princess Diana's cosmic purpose - through her extremely public life and death - to assist people, in an unconscious way on a global level, as well as the monarchy on a national level, to adjust to the intrinsic energies and characteristics of the new millennium. It is out with the old and in with the new. And no one, not even an established monarchy of a thousand year reign, will survive into the new millennium doing things as they once did. "The times they are a changin'," wrote Bob Dylan, and in these fast approaching millennium times, it cannot be business as usual, as it has been for the last thousand years. The cosmic, vibratory playing field of the new millennium will be much different than that of the last thousand years. With this new cosmic wave upon us, this millennium tsunami, the key phrase is, " adjust or perish." Ride the wave or be wiped out by it. This is the admonition for all entities who exist at this time, be they living persons or institutions. They must learn to adjust, ride the wave and 'go with the flow' or be crushed and drowned under the weight and force of the oncoming tidal wave that is the second millennium. Cosmically, the dimension in which we live is polar - a construct of opposing forces maintaining a positive and a negative charge. Thus, there is masculine and there is feminine - polar opposites. There is day and there is night; there is black and there is white. There is up; there is down; there is hot/cold, good/bad, right/wrong, war/peace, etc. This polarized structure is the basis of the ancient Taoist symbol, the 'yin and the yang' wherein the yin (the black side) represents the female principle of the universe, and the yang (the white side) represents the male principle. These separations exist on opposite sides of a wavy line, depicting the non-linear, fluid, adjustable aspect between the two extremes. In this Taoist symbol, as seen below, there is a white dot in the black side and a black dot in the white side signifying that within each polarity there exists a part of its opposite: within the feminine, there is masculine and within the masculine, there is feminine; within that which is soft, there is an aspect of hardness and within that which is hard, there is an aspect of softness; within the good there is bad and within the bad there is good. In effect, neither polarity is exclusively one pure polarity. The design of this polarized structure means there will always be conflict within this creation. For every point of view, there will exist an opposing point of view and, as we have previously mentioned, when the pendulum swings one way, it must, by its very nature, swing the other. Therefore, nothing is static. Everything moves to a great cosmic rhythm, just as do the ocean tides flowing in to shore and back out to sea. And so it is with millennia. They ebb and flow just as do the waves of the ocean, alternating in a pendulum motion between positive and negative polarities. Currently, our world is caught in the change between the first and second millennia. 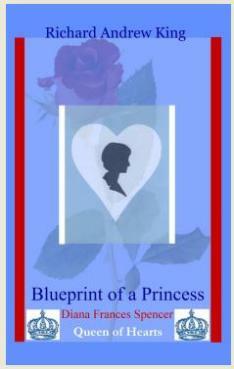 It is in this millennia change where Princess Diana's significance expresses itself. As we remember from Chapter Two, 'Cosmic Numbers', the number one is a fire sign and represents the vibration of the yang--the male aspect of creation. Some key words for the one vibration are: man, self, ego, fire, individuality, monarchy, independence, assertiveness, action, reason, pride, genesis, creation, initiation, new beginnings, leadership, pioneering, at-one-ment, union and unilateral. The number two is a water sign and represents the vibration of the yin--the female aspect of creation. Some key words for the number two are: woman, water, others, relationships, dependence, passivity, support, emotion, followership, togetherness, compansionship, collaboration, cooperation, teamwork, competition, the taking of sides, intuition, diplomacy, kindness, caring, patience, balance, equilibrium, receptivity, sensitivity, equality, duality, rhythm and bilateral. When we apply numerical ciphers to millennia, we see that we have come to the end of the first millennium. It was a thousand year period of the self, action, pioneering, exploration, invention, industrialization, conquest and the planting of flags on newly discovered soil to claim property rights for singular nations. It was, indeed, a time for the building of empires demanding the type of qualities and characteristics that such work requires - an active, strong, masculine, courageous, rational, unemotional, unfeeling, unbending, logical, stalwart, stiff upper lip mentally. People's feelings were not important. Life was cheap and relatively short. Truly, it was a time of 'fire', fire which strengthened and hardened, purified and also destroyed. It was a period in which the yang principle dominated the earth's social structure. "It's a man's world" was a phrase most probably coined during this thousand year era. And, it was an age of monarchy - rulership by one, whether that one was a queen or a king. It was not until the latter part of the first millennium that such rulership began to be tested and challenged. However, as this first millennium began to draw to a close, the overlapping energy of the oncoming second millennium began to be felt. Naturally, this occurred most strongly in the nineteen hundreds, the time frame in which the energy of the one became focused on the nine - the energy of completion and conclusion drawing things to a close and leading to new beginnings (19 > 1 + 9 = 10 > 1 + 0 = 1). It was during this century that women's rights began to emerge, walls of all kinds began to collapse between people and nations, and issues involving people, not conquests, began to take priority. Because of the 'shrinking earth', people began to see that survival on our planet was directly related to all of us working and harmonizing together as one earth rather than as a collective assortment of individual entities functioning independently and seeking different goals. Now, in the year 2000, we find ourselves poised on the starting line of a new race, a new adventure. The first millennium is now the subject of history books, myth and lore. It is over. The wave of its vibration has passed and a new wave is upon us, a wave not ruled by the one but by the two, a wave consisting of very, very, very different characteristics. Exact opposite characteristics in fact. The second millennium, in stark contrast to the first, will be a thousand year period ruled by the yin - the female principle of the universe, the absolute opposite energy of the one. This will be a time when she, the female, will come into her own, when, most likely, it will no longer be considered to be 'a man's world', but a world of equals. The second millennium theme will also encompass people, others and relationships. Principles of balance, equilibrium, equality, togetherness, sensitivity, receptivity, duality, and emotion will take precedence. Because the number two is a water sign, it will be a thousand year era in which feelings and intuition will also take their place on the great life stage. One of the cautionary aspects of this second millennium is that two also rules duality, competition, duplicity and vacillation. People, especially in the beginning, will be subject to polarization and taking sides. Wedges may split them on many issues, forcing everyone to consider other people's points of view, to have patience with them (people and issues) and tolerate them which, of course, are positive actions. However, because of the differences of opinion which the two generates, there will most likely exist competition and the struggle of one against the other. In general, people may also not be as straightforward and decisive as is necessary to the solving of problems. Two can vacillate and sway from side to side, and while the positive aspects of this vibration are to, indeed, see and understand both sides of an issue and reach a balance point, the negative aspect is that there may not be the courageous standing of one's ground when necessary, the honoring of one's word and the utilization of logic which are positive traits. The faculty of reason may be given a back seat to emotion, and while none of us can live without emotion, emotion without reason can create volatile situations. The second millennium will also be a period of bilateral expression - the expression of two, not one. This is where the British monarchy, and all monarchies for that matter, must sit up and take extreme notice. The vibrational wave of the first millennium may have made it appropriate to be unbending, unemotional and unfeeling, never showing or exhibiting anything other than a stiff upper lip. However, antithetically, the vibrational wave of the second millennium will make it appropriate to be bending, emotional and feeling. The emphasis will not be on monarchy - a rulership of one - but bipartisanship, a rulership of two. People will 'feel' more and have an intrinsic need for their leaders to 'feel' as well. To exhibit a lack of emotion, feeling, compassion, caring, kindness and togetherness in an environment which not only demands such characteristics but creates them as well, will spell catastrophe for those who fail to adjust and work with, not against, the energies in existence. If the British monarchy, or any monarchy for that matter, is to survive, it must find ways and means to rule together with the people, with others other than itself. This was one of Diana Frances Spencer's great gifts, not only to England and a royal family which displaced her, but to the world - she was a bridge between the rigidity and single-mindedness of the first millennium as represented by the monarchy, and the yielding and together-mindedness of the second. Diana recognized there were others in the world and in the British royal realm, and she reached out to them from her royal position which many people not only respected but revered. Diana felt. She expressed her feelings openly and unashamedly to the people she served and which the monarchy served through her. She touched people, she made them feel they were together in one family. She cared, she was sensitive and receptive to their needs, feelings and desires. She was in touch, not just with them but with the rapidly advancing tidal wave of energy that is the second millennium. She was what it will be and people loved her consciously and unconsciously for it. It is sad that the monarchy of which she was a part and which she was highly responsible for endearing to the people, making them feel loved and wanted, could only see themselves and their former, unbending, royal ways and not see or recognize her contributions to them specifically and England's people generally. How many times during the aftermath of her death was she referred to as 'The People's Princess' and 'The Queen of Hearts'? Truly, she needed no throne, for she sat on the one throne which moves people more than any other - the Throne of Hearts. In credit to the British Monarchy and to the Queen of England, the flag of Buckingham Palace was, of course, lowered to half-mast in respect of Diana after her death. This had never been done in the one thousand year existence of the British Empire.1 It was a truly remarkable gesture when one considers the rich legacy of English history and an Empire so vast that upon which, at one time, "the sun never set." When one thinks of the cavalcade of great, auspicious, prodigious and prominent personalities which England has given to the world through the likes of Winston Churchill - possibly the greatest statesman of the Twentieth Century, William Shakespeare - perhaps the greatest writer of recorded history, Isaac Newton - scientist extraordinaire, Dr. Samuel Johnson - first author of the dictionary of the English language, Alexander Pope, Francis Bacon, Percy Shelly, John Keats, Admiral Nelson, William Wordsworth, Lord Byron, Alfred Lord Tennyson, Rudyard Kipling and on and on and on - personalities for whom the flag was never lowered on their behalf - it is remarkable indeed that it was lowered for one Diana Francis Spencer. One has to marvel at the power of a person who, in just 16 years, could so move the world and her nation's leadership that she did what no other of her countrymen could do in their entire lifetimes and beyond - honor her passing with the lowering of the Union Jack to half-mast. This flag gesture is important because it demonstrates what the second millennium addresses - others, their feelings and emotions. It was the will of the people, people whom Diana touched, that forced that flag to be positioned in such a manner. And why? Because Diana touched them to such a degree and in such a way they felt compelled, through love, compassion and respect, to demand a change in British convention and monarchical disposition regardless of what the last thousand years had postulated or protocol dictated. There is another important aspect to the Union Jack being lowered to half-mast on Diana's death and that is in its symbolism. When a flag is not lowered but kept at the apex of its pole, it signifies oneness and the self. However, when a flag is dropped to half-mast, it virtually cuts the pole (the one) into two sections signifying 'others'. As we recall, the '2' also indicates relationship, support, togetherness, teamwork, cooperation. In a cosmic way, this is what the Union Jack, flying at half-mast in tribute of Diana's life and death, was signifying - the emergence of a new set of principles and standards - ideas based in others, relationship, cooperation, support and all that the yin symbolizes. It is also interesting to note that Diana's numerology chart was heavily saturated in 'two' energy. She was an extremely people-oriented person. you wouldn't be seeing that flag right now. The people put that flag there . . .
to represent the continuity of the nation . . .
but protocol doesn't matter to these people . . .
Additionally, in further support of this idea, Queen Elizabeth bowed her head as Diana's coffin passed en route to her burial. How often has this happened at the death of one of England's own? And, yes, it was humanistically right and proper for her to do so and would have been humanistically improper if she had not done so. Once we lose our humanity in place of sovereignty, we lose our respectability, honorability and humanity. We all die, and to dis-acknowledge another in their death is to insure our own dis-acknowledgment at the time of our death. To dis-acknowledge Diana at the time of her passing would be insensitive, cold, heartless and even cruel. Again, this action of the Queen was highly commendable and also commensurate with the energies of the then oncoming millennium. It showed sensitivity, compassion and feeling even if it was encased in the seemingly unfeeling demeanor of a passing age. In perceiving Diana as a Millennia Bridge, one very poignant occurrence during her funeral procession was the five man entourage following her casket. This, of course, was composed of her two sons and potential Kings of England - William and Harry, her ex-husband, Prince Charles - a potential King of England, Prince Philip - the Queen's husband and her brother Charles, Earl Spencer. This may have been perceived simply as a loving gesture, which it most certainly was, but it was also a symbolic 'ushering in' of the feminine principle of the oncoming second millennium. There was no female presence behind that casket. Only male. This was certainly an acknowledgment of the passing of the torch from the masculine to the feminine, not necessarily in gender but in principle. The Millennia Bridge concept was most visible, however, in the simple dialogue of common people in the wake of her death. As we all saw and heard, it was Diana's warmth, her love, compassion, kindness, sensitivity to the plight of others, and her genuine feeling for people in general that was the topic of conversation in those heart-rendering days following her tragic accident. No one talked about her academic prowess because she had none. In fact, she had failed her 'O Levels' twice.3 She was not an heroic general, an acclaimed scientist, noted author, or celebrated politician. She was English Royalty for a time, but it was not her status that people commented on. In fact, it was her absence of a feeling of status and superiority which endeared her to such a vast array of many different kinds and types of people. Following is a brief list of what some people have said about her. David Miller, Former British Heritage Secretary. There was an extraordinary life force in her. She had compassion, duty, style and beauty. In her life Diana profoundly influenced this nation and the world. we dared to feel affection and by whom we were all intrigued. met individuals and made them feel significant. or no part of the royal family ever has done before . . .
She has set a new standard for a modern monarchy . . .
if you want to succeed or survive as a monarchy. Andrew Neil, Former Editor, "Times of London"
Lord Jeffrey Archer, Former British MP. which makes them want to know her. . .
(People feel) she is vitally interested in them as a person. and which leaves people laughing and smiling long after she has left them. From these quotes it is easy to see that it was Diana's ability to touch others, to be human, to be feeling, compassionate, concerned and kind which molded her uniqueness, endeared her to millions and generated, through the force of her natural living and being, a legacy which may well regard her as the Mother and Matriarch of Britain's future. However, would Diana's life have continued to have the amazing impact it has had, and most likely will have, if she had died in old age after a rich and full life? We'll never know. But one can never underestimate the powerful, long-lasting effect of a person's life and works when that person is taken from among our midst in what appears to be a pre-mature death, especially in a violent and tragic manner. We all have a sense of loss when one dies so young and violently. But such a loss often generates a memory that is not easily forgotten and, in fact, tends to immortalize such a one when a later, more natural death would not. Too, we tend to remember the person more and the causes for which they worked so selflessly and sincerely when death comes early, unexpectedly and tragically. To be a millennia bridge it was necessary for Diana to die young and tragically. William Shakespeare's tragic play, Hamlet, Prince of Denmark, is the most famous and replicated of all his tragedies. Why? Because it, too, like the tragedy of Diana, focused on the theme of youth dying young and tragically. As humans, these stories compel us to remember and not easily forget. Most importantly, one can be sure that Diana's offspring, one of whom will no doubt be the King of England, will not forget! Prince William and Prince Harry had their mother seemingly stolen from them at a very impressionable age, an age in which tragic events are not forgotten and which, likewise, create foundations of future expression. Had Diana died in her seventies, for example, it is questionable whether her impression upon her children and the works she left to the world would have the same intense impact and effect. By dying young, the intensity, sincerity and purity of her message of compassion, kindness, caring, sincerity, honesty and genuine humanity which she conveyed to the British people and the world while alive, will live through her son, the future King of England, and by so doing have a dramatic effect and impact on the future of this proud and stately nation. This is why, among her other titles, she may also be called the Mother or Matriarch of Britain's future. England's people loved Diana. To them she has become the Queen of Hearts, The People's Princess, the Princess of Love. Indeed, she is a Millennia Bridge and the importance of her loving ways will, no doubt, be even more dramatic as England's future unfurls, especially if the royal monarchy remains in tact. Through her son William, England's future King, her understanding of people, of others and of compassion will, hopefully, live on to lift the British Empire into the embrace of the second millennium, passionately evoking from her people the exulting cries of "Long live the King" and, never to be forgotten, "Long live the Queen . . . of Hearts!" 1. Andrew Neil, Former Editor of the "Times of London"; Jane Pauley; NBC. 3. Diana in Private, Lady Colin Campbell; St. Martin's Press, New York, pp. 44-47. 4. David Miller, CNN News Coverage of Diana's Death. 6. Charles, Earl Spencer. Diana's funeral speech, ABC News Coverage of Diana's Funeral with Peter Jennings. 8. Andrew Neil, Former Editor of the "Times of London"; Jane Pauley; NBC. 10. Lord Jeffrey Archer, Former British MP; NBC News: The Funeral of Diana.